If you own an older iPhone, a question arises when Apple releases a new version of the iOS: Should you upgrade? Everyone wants to have the latest and greatest features of a new OS, but if you use an older iPhone, new features sometimes need more power to work well than your phone offers, if they work at all. This is the scenario that faces owners of the iPhone 4. Should you install iOS 7, which is the last of the operating systems that runs on the iPhone 4? To make an informed decision, evaluate the pros and cons of upgrading your phone. No more OS upgrades are compatible: IOS 7 is the last version of the iOS that runs on the iPhone 4, so you won't be able to upgrade to iOS 8, 9, or beyond. If you want to max out the capabilities of your iPhone 4, iOS 7 is the way to do it. IOS 7.1.2 is tuned for iPhone 4: The 7.0 release received a lot of complaints from iPhone 4 owners who said that it slowed down their phones so much that they were almost unusable. Apple heard those complaints and addressed them in iOS 7.1.2 in June 2014. 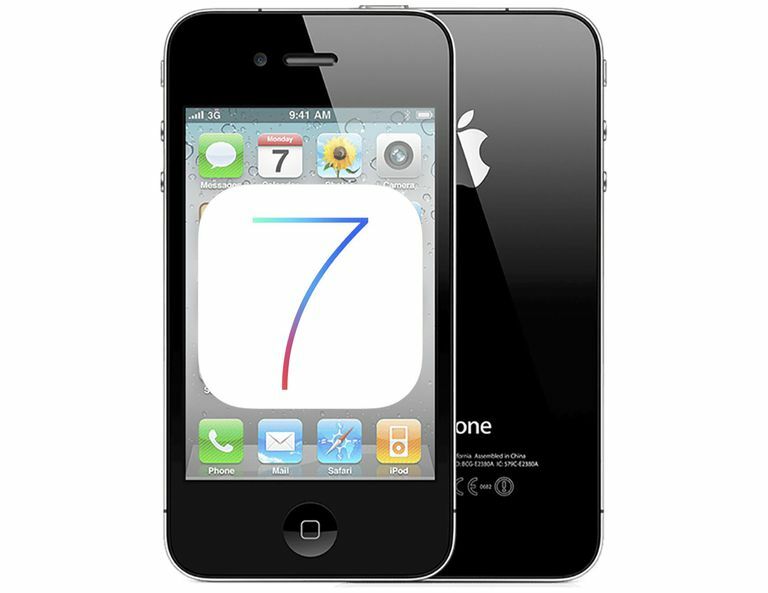 It is the last of the iOS 7 operating system versions that runs on the iPhone 4, and it is substantially faster on the iPhone 4 than the original iOS 7 release. Enjoy cool new features: iOS 7 introduced some major new features to the iPhone that we now take for granted. Do you want to miss out on features like Activation Lock, Control Center, iCloud Keychain, and the new design and interface? To get them, you need iOS 7. Benefit from bug fixes: Every new iOS release fixes bugs and security issues. If you upgrade, your iPhone won't be exposed to problems or potential attack that it could be protected against. Performance may be substandard: The iPhone 4 is the oldest device that iOS 7 can be installed on. It has a slower processor, less memory, and a smaller battery than newer models. You miss new features: Because the iPhone 4's hardware is old, some of the cool iOS 7 features don't work on it. These include panoramic photos, AirDrop, Siri, traffic information in Notification Center, and filters in the Camera app. You can't downgrade. : If you upgrade to iOS 7 and decide you don't like it, you can't downgrade your phone to iOS 6 again. There are better upgrades: Why waste time upgrading your OS when you could upgrade to a new iPhone? They aren't as affordable as they used to be when carriers offered subsidies, but you can spread the expense across two years with most carriers. The Bottom Line: Should You Upgrade? Whether you upgrade your iPhone 4 to iOS 7 is up to you, of course, but be cautious. If you upgrade, you'll be putting an operating system that requires a lot of processing horsepower and memory onto a device that's approaching the end of its usable life. The combination works, but performance may be slower or more problematic than you'd like. If you're willing to live with some bugs or slowness to upgrade the OS, go for it. Otherwise, hold off. The iPhone 4 was released way back in 2011. In terms of modern consumer technology, that's ancient. New phones are much faster, have bigger screens, can store much more data, and have better cameras. Other than the cost saving — which is considerable — there's no reason to continue to use an iPhone 4 at this point. Consider upgrading to a new iPhone instead. That gives you the best of both worlds: You get a fresh, fast new phone with all the latest hardware features and the latest version of the iOS. The latest models, the iPhone XR and iPhone XS, have a lot of great features. ​If you're looking to spend less money, the iPhone 8 and iPhone 7 are still available at a lower price. All of them can be paid for overtime with your carrier. If you are going to buy, buy the newest and best phone you can afford because it will last the longest. Still, any model you upgrade to from the iPhone 4 will be a huge improvement.